252 people in our community are currently praying with you. May I go in peace, with God and with his other children, and may we love one another. May I follow the example of good men of old, and may God comfort me and help my brothers, both in this world and in the world which is to come. Now the whole world had one language and a common speech. As men moved eastward, they found a plain in Shinar [Babylonia] and settled there. 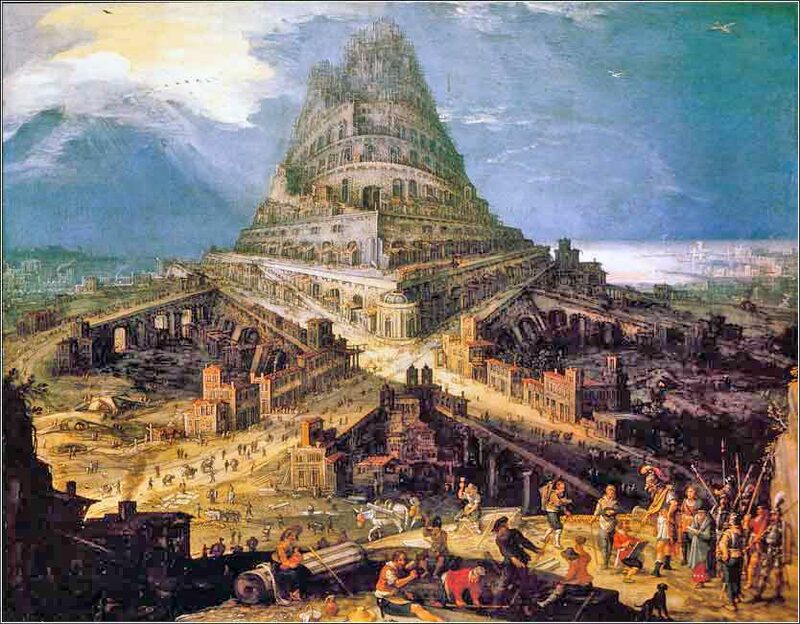 In Hebrew, the word "babel" sounds like the word for "confusion"; thus the passage says that Babel was named because it was the place where God confused the languages of the world. It is the Hebrew name for Babylon, which existed as a settlement before 2000 B.C. and, by 1700 B.C., was probably the largest city in the world. In the period when it was ruled by Nebuchadnezzer and his descendents (@ 600-450 B.C. ), it again became the largest and one of the richest cities in the world. It was a city given to grand structures, including one of the Seven Wonders of the World, the great Hanging Gardens. There was also a great tower built in ancient Babylonia proper, known as the Etemenanki (Sumerian "temple of the foundation of heaven and earth") . 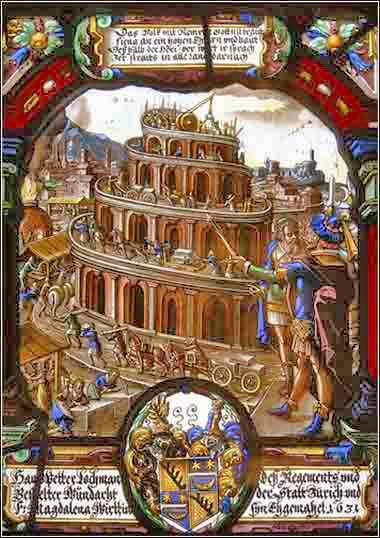 Nebuchadnezzar wrote that the original tower had been built in antiquity: "A former king built the Temple of the Seven Lights of the Earth, but he did not complete its head. Since a remote time, people had abandoned it, without order expressing their words. Since that time earthquakes and lightning had dispersed its sun-dried clay; the bricks of the casing had split, and the earth of the interior had been scattered in heaps."